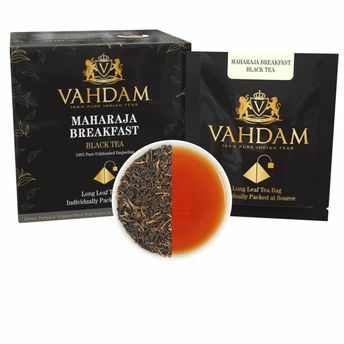 Unlike standard breakfast teas which are a blend of black teas sourced from multiple regions, Vahdam's Maharaja Breakfast is a traditional blend of rich & aromatic black teas hand-picked from the best tea plantations in the region of Assam in Eastern India. Assam produces the world's finest full-bodied black teas. The high day-time temperature creates greenhouse-like conditions of extreme humidity which contributes to Assam's unique malty taste & strength. 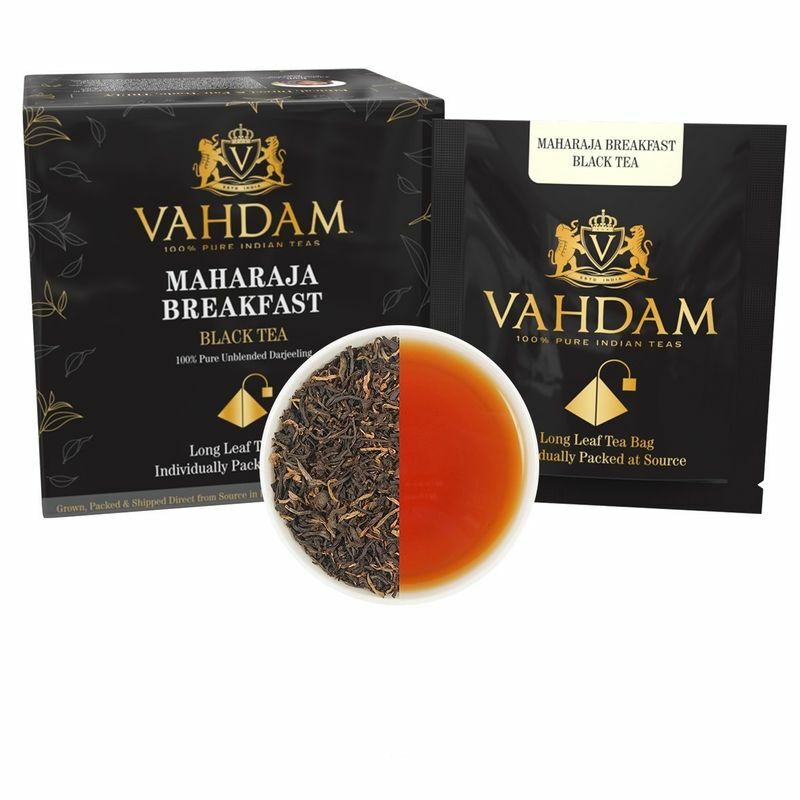 A rich, full-bodied & malty black tea made from beautiful golden-tipped leaves. The brew offers a sensational aroma of dark chocolate & a hint of malt in every sip. Can be served without or with a dash of milk. Add sweetener as per taste. Can be served hot or as an iced tea.